Bird was like the sun, giving off the energy we drew from him… In any musical situation, his ideas just bounded out, and his inspired anyone who was around. 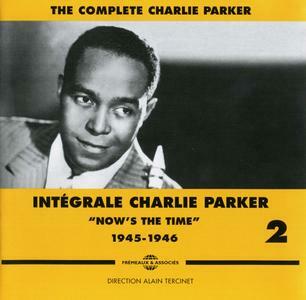 The aim of 'The Complete Charlie Parker', compiled for Frémeaux & Associés by Alain Tercinet, is to present (as far as possible) every studio-recording by Parker, together with titles featured in radio-broadcasts. Private recordings have been deliberately omitted from this selection to preserve a consistency of sound and aesthetic quality equal to the genius of this artist. A reissue of the original 1952 Clef recording session, this is one of the few instances in Charlie Parker's later career where he played with something other than a small bebop group. Under contract at the time to Clef's Norman Granz, Parker was encouraged by the label to make recordings that took him out of his familiar settings and put him in with string arrangements, Latin rhythms, and larger band formats. This recording is the result of one of these experiments. Though Joe Lipman's arrangements are stellar, the musicians assembled for the sessions are an odd mix of pop-oriented big-band players and improvisers. You really have to be blind to all the evidence if you refuse to see that Parker’s calibre was at least as prodigious as that of the greatest musicians of earlier generations. -Boris Vian. 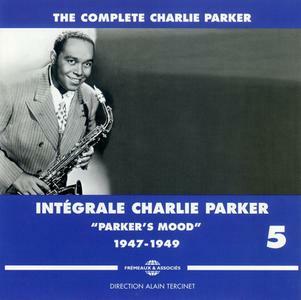 The aim of 'The Complete Charlie Parker', compiled for Frémeaux & Associés by Alain Tercinet, is to present (as far as possible) every studio-recording by Parker, together with titles featured in radio-broadcasts. Private recordings have been deliberately omitted from this selection to preserve a consistency of sound and aesthetic quality equal to the genius of this artist. Excellent French three CD compilation from the Jazz legend. This is a set that any self-respecting Jazz fans will want to own. They may already have all of these recordings on other releases, but never have they been put together before in such luxurious packaging. Of all the Parker sets on the market, this is definitely one to be put at the top of the list. 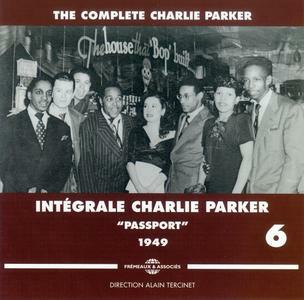 Disc One features 24 tracks spanning the years 1940-47. Disc Two also features 24 tracks that cover the 1947-51 time period. 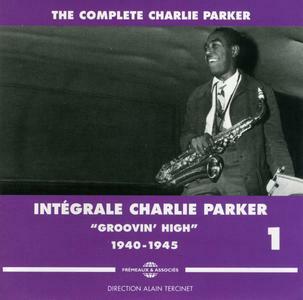 Disc Three contains an additional 14 tracks that were recorded between the years 1947 and 1953. Includes tracks recorded for the Decca, Savoy, Dial, Comet, Musicraft and Guild labels. Also included in this package is a beautifully illustrated 80 page plus booklet with tons of archival photos. 62 tracks total. Saga Jazz. 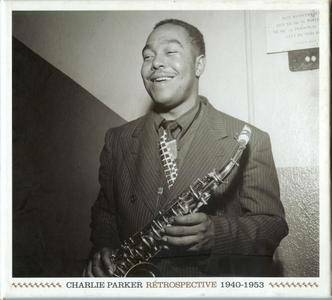 Charlie ‘Yarbird’ Parker should need no introduction; recognised as one of the twentieth century’s true musical greats, he revolutionised saxophone playing in the forties. The recordings on these three CDs capture him in the very act, and additionally present jazz at a crucial time, when swing was shortly to give way to bebop, and when the blues could be played with a big band before r&b took over. Many of the recordings here were not made commercially - some are from radio broadcasts, some were made in concert, and a few, such as the fascinating opener, just Bird and his sax tackling ‘Honeysuckle Rose’ and ‘Body And Soul’, were never intended to be heard outside of the immediate circle. The Frémeaux label have done an admirable job of compiling the complete chronological recordings of major artists such as Django Reinhardt, Louis Armstrong and Mahalia Jackson. Now they turn their attention to Charlie Parker. 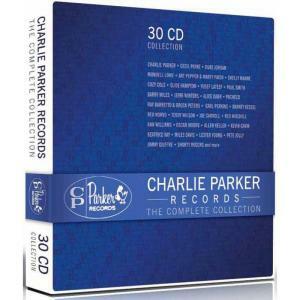 This three CD set covers an exciting period when Parker and fellow bebop pioneer Dizzy Gillespie were shaking up the jazz world, not just at gigs but with widely distributed 78s. Most of the tracks, recorded in New York and Los Angeles, feature both men, in the studio and on radio broadcasts. A young Miles Davis also makes an appearance. 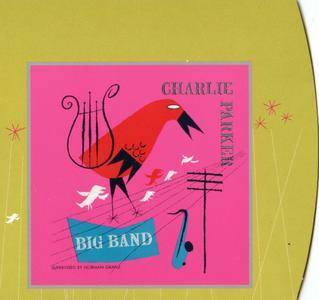 Charlie Parker did all the things I would like to do and more – he really had a genius, see. He could do things and he could do them melodiously so that anybody, the man in the street, could hear – that’s what I haven’t reached, that’s what I’d like to reach. -John COLTRANE. 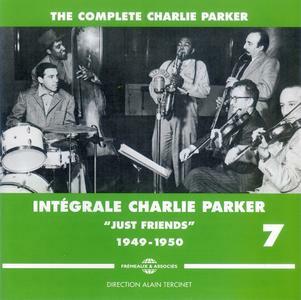 The aim of 'The Complete Charlie Parker', compiled for Frémeaux & Associés by Alain Tercinet, is to present (as far as possible) every studio-recording by Parker, together with titles featured in radio-broadcasts. Private recordings have been deliberately omitted from this selection to preserve a consistency of sound and aesthetic quality equal to the genius of this artist.